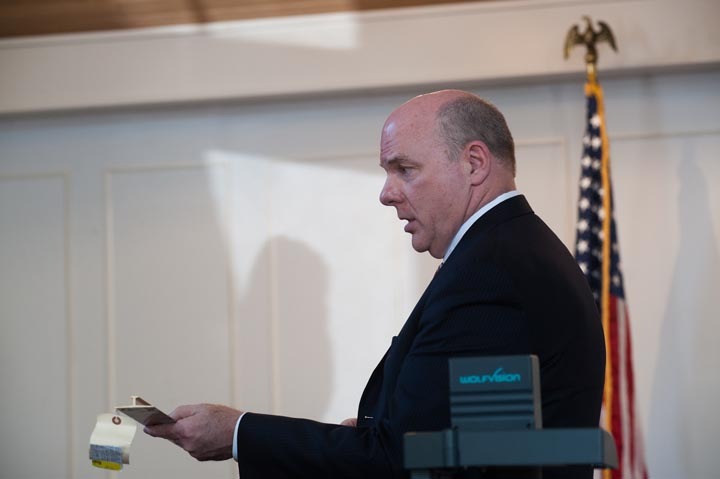 Testifying in a crowded makeshift courtroom Thursday, the pilot in a 2005 plane crash at Katama airfield gave his account of the accident that left him confined to a wheelchair without the use of his legs. 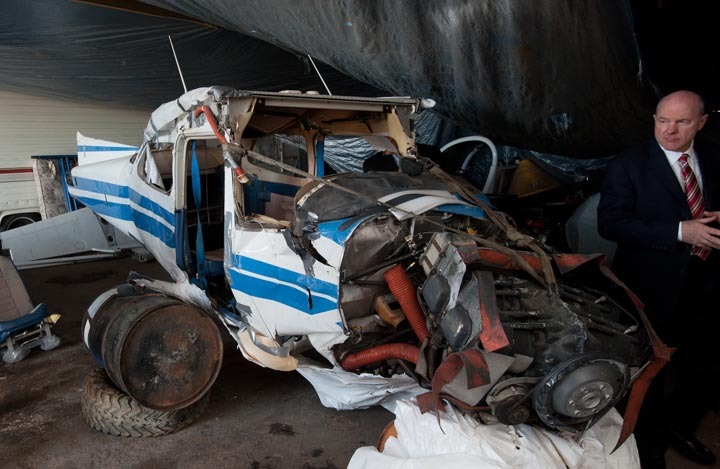 Mr. Naiman and his passengers, Jeffrey Willoughby and his daughter Jessica, are suing Cessna Aircraft Company in Dukes County Superior Court, claiming that the accident was the result of faulty rails on the pilot’s seat. Cessna is arguing that the crash was due to pilot error. All three of the plane’s occupants have been deaf since birth. The flight was part of an annual Deaf Pilots Association “fly-in,” in which deaf pilots from around the country gathered in one location and took daily trips to nearby airports. The civil trial — presided over by the Hon. 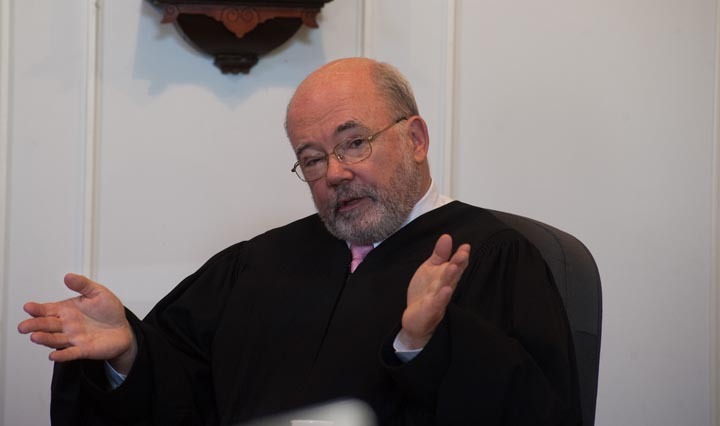 Cornelius J. Moriarty 2nd — is unusual in a couple of respects: the venue, which is the selectmen’s hearing room in Edgartown town hall, across Main street from the Dukes County courthouse; and the constant presence of three or four sign-language specialists for the deaf plaintiffs. On Thursday, Mr. Naiman, 57, recounted his passion for traveling and backpacking trips, and described how his love for flying began when he was 12 years old and had to sit on a cushion to reach the pedals. “It was a thrill,” he said. He was one of the founding members of the Deaf Pilots Association, he said, eventually serving as vice president of the organization. The yearly fly-ins “really blew my mind,” he said. “Not just because of the fly-in itself but the experience of getting there, flying there,” he said, recalling flying across the country to California and south to North Carolina. Mr. Naiman said he has no memories of the actual crash, and spotty memories of the flight from Plymouth to Katama. His first memory after the crash, he said, was being in a hospital in Boston. Once he was moved to a rehabilitation center in New York city, he said, he received physical therapy and worked on moving his legs, though a light touch would cause him pain. Before Mr. Naiman’s testimony, the plaintiffs called more witnesses to try to make a case that Mr. Naiman’s seat system failed and slid back at a critical point during his approach to Katama airfield. They also heard from a witness to the crash and doctors who described Mr. Naiman’s injuries and how they will impact his life. Donald E. Sommer, an airplane crash investigator with Aeroscope Industries in Colorado, said he has worked on “seat slip” cases involving Cessna planes for 30 years, in which the seat’s locking pins inadvertently slip out of holes in two rails mounted on the cockpit floor. Using data from the plane, Mr. Sommer showed how he had plotted the course of the airplane to see what happened as the plane attempted to land at the airfield, and said he disagreed with a video of the flight created by Cessna’s investigator, which showed the plane making “s-turns” before the crash. Mr. Sommer attempted to explain why, if the seat slipped out of the holes and slid back during the flight, it was found locked in the 5th hole of the seat rails after the crash. At the end of last week, Erik Rigler, an aircraft accident investigator and former FBI agent testified that he also experienced a “seat slip” in a Cessna airplane in the mid-1980s, though he was able to regain control of the plane. 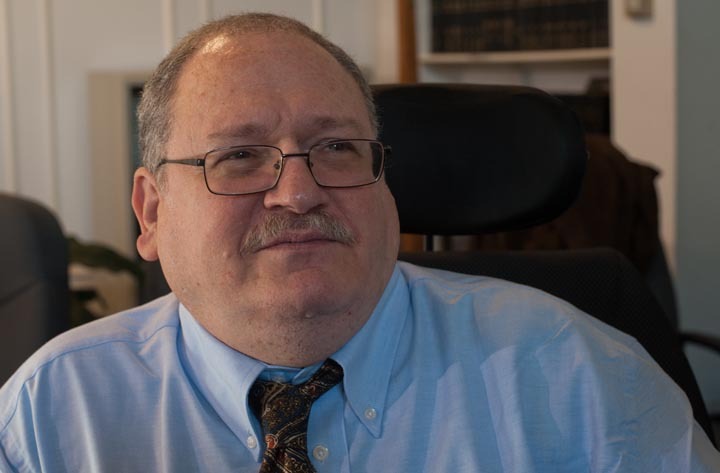 Dr. Jonathan L. Costa, of Erie, Penn., who specializes in physical and rehabilitative medicine, said Mr. Naiman broke both legs and sustained a traumatic brain injury and a compressed spinal cord, which has left him confined to a motorized wheelchair. Mr. Naiman, he said, experiences pain “24-7” from the injuries. Mr. Naiman, who teaches American sign language and deaf culture at Nassau Community College on Long Island, commutes two-to-three hours each way to work from his apartment in New York city, said Dr. Costa. His apartment is ill-equipped and his home assistance insufficient for the needs of a wheelchair-bound person, Dr. Costa said. Unable to move from his bed to his wheelchair without help, he is left with the choice of either remaining in his wheelchair or in bed for entire weekends, he said. On Wednesday, Andrew Bradshaw, a contractor from Vineyard Haven, was called to testify. On the day of the crash, Mr. Bradshaw had decided to go for a biplane ride with his best friend. While the plane’s pilot waited to take off, Mr. Bradshaw said, he had a clear view of the crash and was the first person to approach the plane. Growing emotional, he said his friend ran away when he saw fuel spilling from the plane. But Mr. Bradshaw stayed and tried to help, he said, pointing out a picture of his fleece jacket bunched up to try to block a fuel spill. Mr. Bradshaw recalled a strong odor of fuel and seeing Ms. Willoughby in the back seat. “I’ll never forget it because she had a bad injury,” he said. Cessna’s lawyers are expected to begin presenting their witnesses beginning next week. They have argued the crash was caused not by a faulty seat system on the 172-N model single-engine aircraft, but by Mr. Naiman’s piloting errors as he approached the airfield. Earlier this week a second juror was excused due to an illness. There are 12 jurors.